reimbursement of her separate funds used for the down payment on their residence. We affirm. 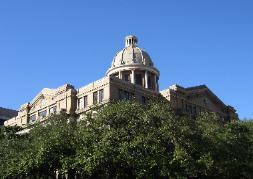 Boss Hoss Cycles of Houston, LLC v. Wells Fargo Bank, NA (pdf) (Tex.App.- Houston [14th Dist.] Jan.
14-09-00242-CV Information Services Group, Inc., Technology Partners International, Inc. and TPI Eurosourcing, L.L. 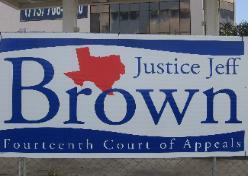 OPINION OUTPUT: Justice Jeffrey V. Brown wrote 129 opinions in Fiscal Year 2008-2009.
five other opinions. Brown did not dissent or concur even once during that time period.